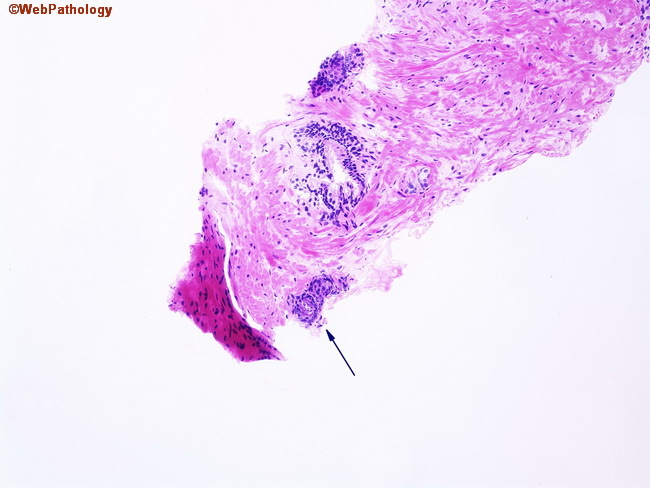 This atypical focus was the sole finding in an extended prostate needle biopsy from a 55 y/o male with serum PSA of 4.8 ng/ml. There are 3 small highly distorted glands with enlarged hyperchromatic nuclei and prominent nucleoli. A repeat biopsy performed three months later showed an easily diagnosable focus of cancer.